Daily Debate: If You Could Design One Item For Zelda, What Would It Be And What Would It Do? From Longshots to hard light-esque bombs produced from an iPad adjacent Sheikah Slate, items are undoubtedly some of the best things about playing a Zelda title. Whether you’re inventing new ways to torture bokoblins or reinventing the wheel during a puzzle, each item usually has a few different applications to help Link on his journey’s. With each new Zelda, there are usually some new items to go with it. With this in mind, let’s think about what hasn’t been used extensively or what might even be completely new. In order for us to come up with something, we have to review a couple of necessities. First, the item has to have both a primary use and an alternative use. Let’s take the Longshot as an example. 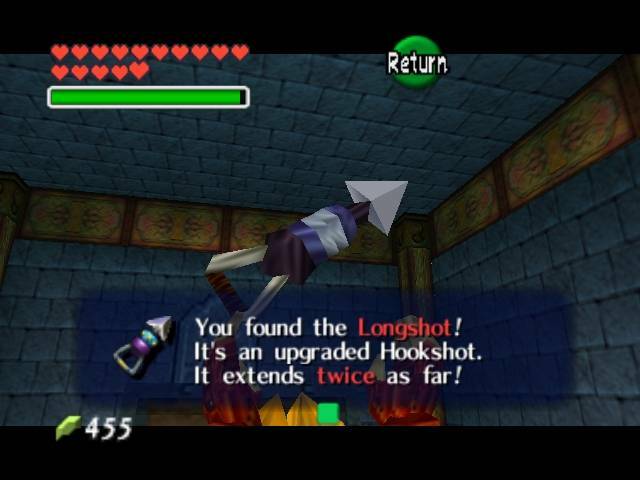 In most iterations, this item is traditionally used to pull Link across distances, or pull things to him, I.E. it’s primary function. In addition to this, it can also usually be used in combat either to stun enemies or disarm them in some way like pulling their shields from their grasp. Though I’ve only listed a couple of the things this item can do, we fans tend to be quite innovative in figuring out even more fun things to accomplish with these items. So now that we’ve established the basics of what’s needed, it’s up to you fans! If you could design an item for Zelda, what would it be and what would it do? Let us know in the comments below!